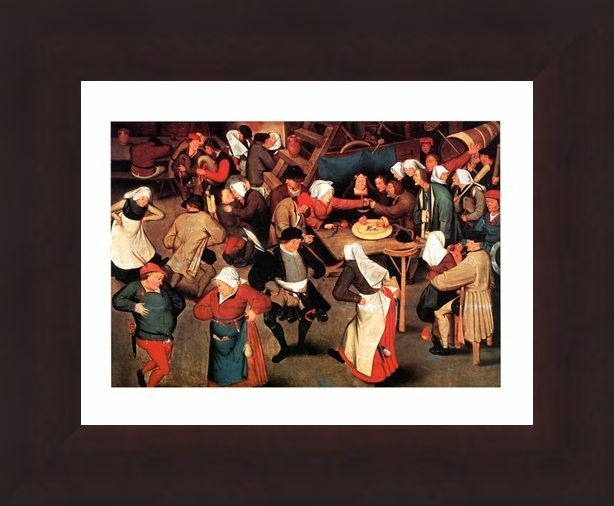 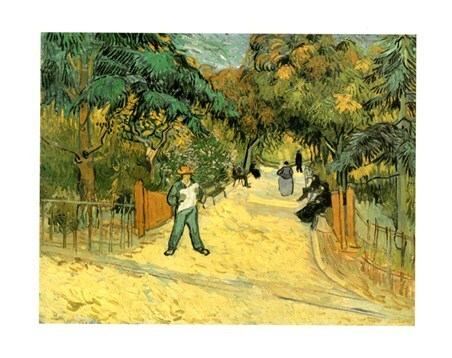 Art Print: This fantastic picture has a real uplifting feeling about it, with a fun loving group of peasants having a good ol' dance at a wedding or "Nozze Di Contadini". This Italian painting by Pieter Bruegel the elder or "Il Vecchio" features so many interesting and eye catching details which requires the picture to be thoroughly studied. 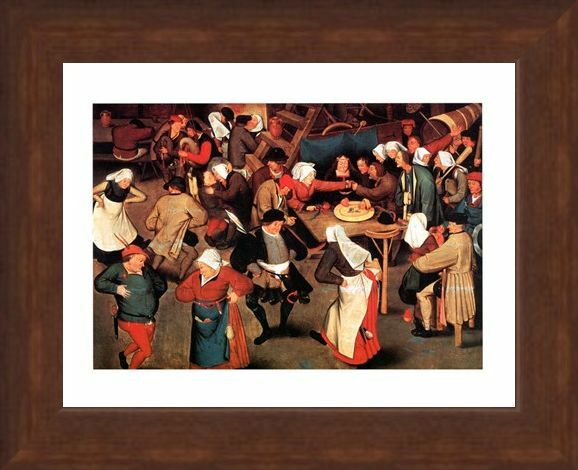 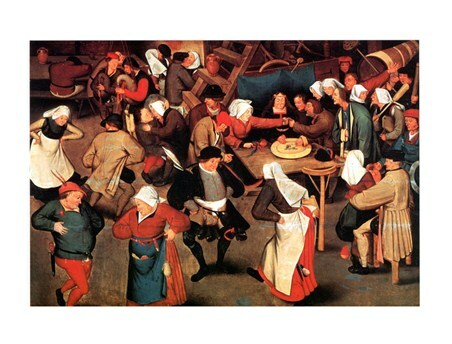 The Bruegels were best known for their peasant artwork and this one certainly shows that merriment was to be had in the 1500's. 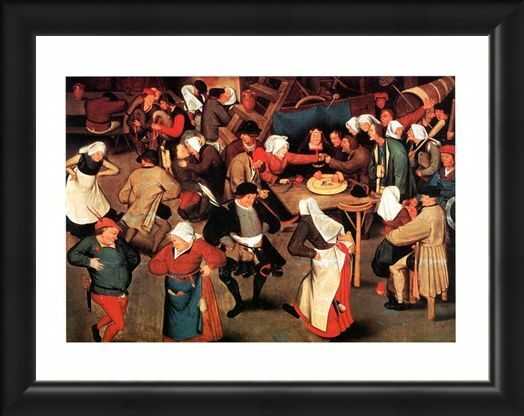 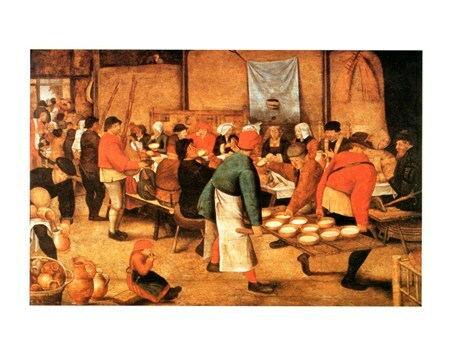 So if you want some of their fun loving attitude in your home, then why not choose this peasant wedding to hang on your wall, and bring some Italian celebration to your life. 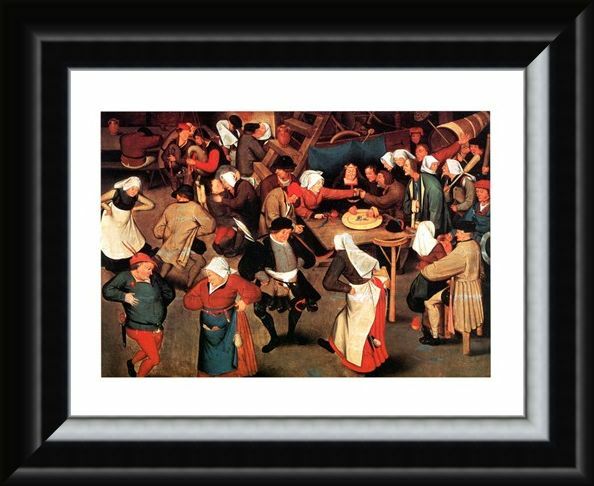 High quality, framed Nozze Di Contadini, Pieter Bruegel Il Vecchio mini print with a bespoke frame by our custom framing service.